Our loving mother and the best grandmother ever passed away peacefully Wednesday, September 12, 2018 at Close To Home in Bay City, age 88. Carol was born August 10, 1930 in Bay City to the late Fred and Lucille (Archambeau) Schmidt. 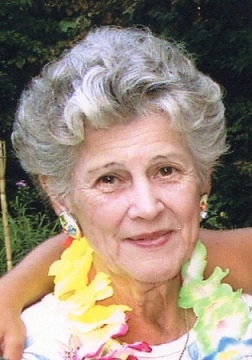 She married Charles Martek, Jr. and he predeceased her in November of 2009. Surviving are two sons, Charles (Helen) Martek III and Timothy Martek, three grandchildren: Meredith (Joseph) Curtis, Abbey (fiancé, Mike Burlett) Bosco and Evan Martek, one sister Janet (Lawrence) Reif, two sisters-in-law and two brothers-in-law: Delphine “Dolly” Kabet, Mary Jane (Edward, “Butch”) Owczarzak, Mick Martek and Gary Martek.